Since officially winning the "format war" against HD DVD in February 2008, Blu-ray Discs have become the industry standard for high-density optical discs. Despite facing competition from video on demand services, a Blu-ray Disc player is now considered a staple of home theater, with the technology expected to completely supplant that of standard DVD within a few years. 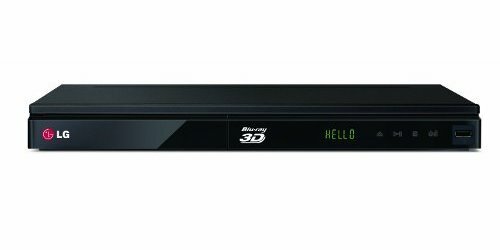 A Blu-ray player is a machine that plays Blu-ray Discs, currently the highest-quality home video format available to consumers. Because Blu-ray players can also play DVDs, there's no reason to toss your DVD collection if you upgrade to one of these machines. As the technology has been around for a few years now, prices have dropped to reasonable levels, making now a good time to invest in a Blu-ray player. Most newer models now allow you to play 3D Blu-ray Discs as well. Although these only work if used with a 3D TV, the difference in price between a 3D player and a standard player is slight enough that it's worth the investment in order to get the most current technology available. Here are the five best Blu-ray players on the market. 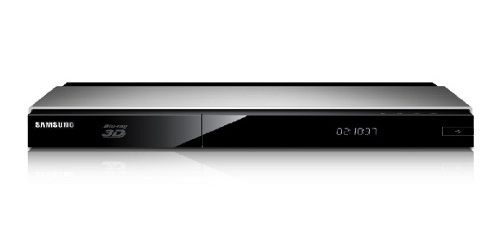 A Consumer Reports Best Buy, this Sony 3D Blu-ray player offers an optimal balance between performance and value. Featuring the excellent picture quality consumers have come to expect from Sony home video products, the unit retails for under $100. With its built-in Wi-Fi, users can stream movies and TV shows from most of the major services, including Amazon, Netflix, and Hulu Plus; Netflix even has its own button on the remote for ultra-easy access. 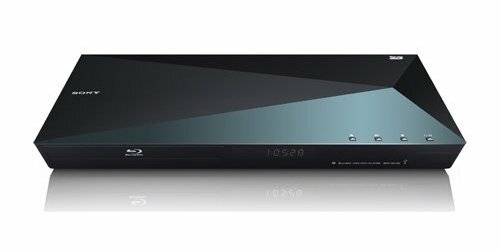 The S5100 is quick, with a startup time of five seconds (four with its quick-start feature enabled), and is one of the few Blu-ray players capable of playing SACDs (CDs that offer longer playing times than regular ones). 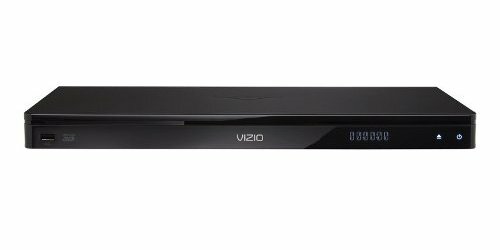 This Vizio 3D Blu-ray player is another great deal. Consensus among consumers is its 3D performance is top-notch, especially when used with a Vizio 3D TV. It comes with unique features like an enhanced two-sided remote with a full keyboard on one side, and a tray-less design that makes the simple act of inserting and ejecting a Blu-ray Disc even simpler. The VBR337 supports up to up to 7.1 channels of digital audio output via HDMI, and can stream content from Amazon Instant Video, Hulu Plus, Netflix, Pandora, VUDU, and YouTube, among others. If you're willing to invest a little more in a Blu-ray player, you can't go wrong with this Samsung model, which isn't likely to become obsolete anytime soon. It employs 4K Ultra HD technology, which allows for four times the number of pixels in your image as the next-highest-definition resolution on the market, Full HD. Although you'll need a 4K TV to enjoy the results, the F7500 will "upscale" any Blu-ray or DVD to its highest possible quality. Another feature that accounts for the F7500's higher price tag is its dual-core processor, rare for Blu-ray players, which permits it to run extremely fast. The CD Ripping option allows you to play and convert your music CDs into MP3s. As is becoming standard for most Blu-ray players, this one lets you access the Internet, including Samsung's own Smart Hub suite, where you can stream videos on demand. 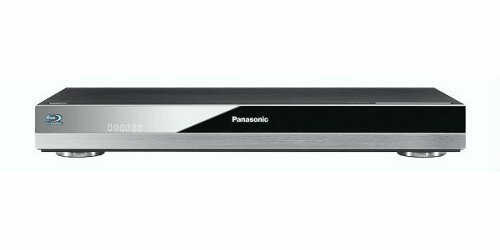 Panasonic has been a major player in Blu-ray technology and the higher-priced BDT500 model is one to consider, along with Samsung's BD-F7500. Audiophiles seem to particularly enjoy the BDT500's sound quality. Its integrated Wi-Fi offers the same level of internet access as other players in its class, though some users report it's less reliable than other brands when it comes to streaming. Other neat features include a touchpad remote control and a multi-user mode that allows you to register four users, each with individual favorite settings. The main reason to buy the LG BP30 player is its ability to play Region 2/B Blu-ray Discs — discs that have been specially coded for consumers in Europe, which won't play on most North American players. This feature makes the BP530 ideal for foreign film and TV buffs. It's a solid overall player as well, especially for the price. Users report that discs play smoothly, with no skipping or pauses. If you want to watch TV without disturbing your roommate, LG's remote app allows you to wirelessly send audio to your smartphone, so you can listen to your program with headphones. One drawback is the player currently does not stream content from Amazon.